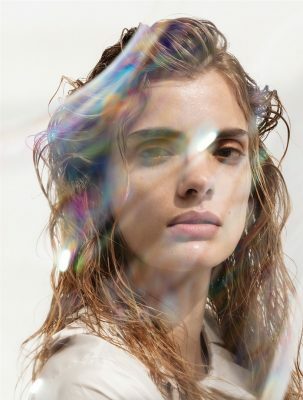 Éclat et Transparence, Chanel’s latest beauty collection melds Lucia Pia’s – the houses’s creative make-up and colour designer – vision of audacious glamour, with a mysterious one. “You have a gold to go on the eyes, which is meant to create a touch of light. 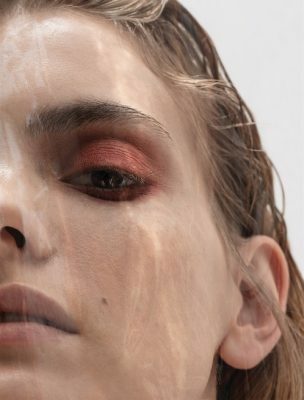 You have a bronze to go all over the face – it’s an all-over shimmer that radiates light, and it’s so subtle that it really looks like part of the skin,” explains Lucia. 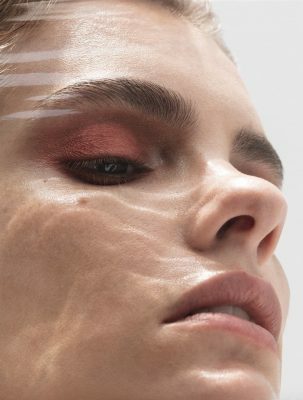 “And then you have a beautiful red colour that you can use on cheeks and in the middle of the lips to create a sort of natural stain.” Éclat et Transparence, inspired by water reflection, offers a subtle and functional approach to the hotter months. 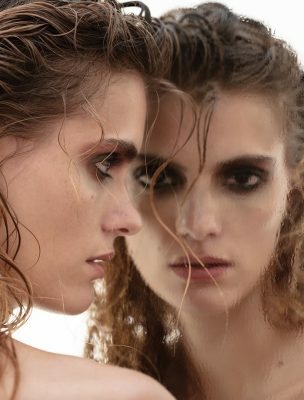 Palettes can be utilised across the skin from the cheeks to eyes, while lip crayons are soft and hydrating. 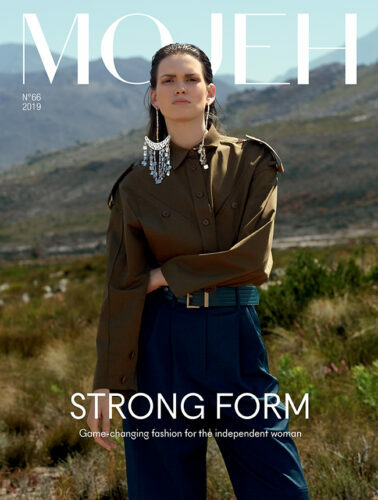 “It’s really about the application,” says Lucia of her vision of Summer beauty, “and how to transform that glamorous feeling of Summer into something that is still striking, but feels more transparent; more as if it really becomes a part of the skin.” For its June Beauty issue, MOJEH, alongside make-up artist Toni Malt, indulged in the collection to create wearable and fresh beauty looks for summer.